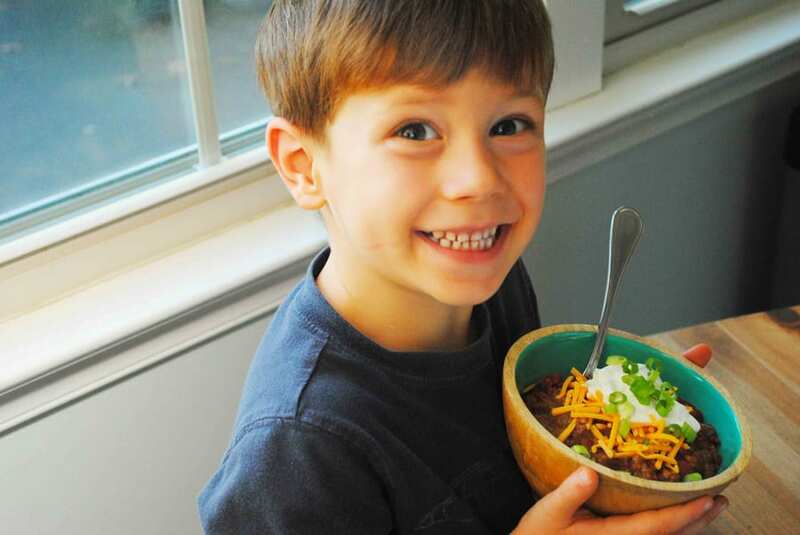 Willy’s Chili is a recipe I developed with my youngest son, Will. We call him a lot of nicknames but my favorite is Willy. He’s four and a total goofball. Recently Will has wanted to spend a lot of time with me in the kitchen. Every night he asks when we are going to make dinner. It’s actually really cute and melts my heart every time he asks. 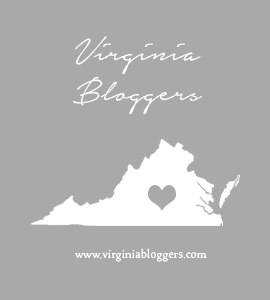 Most of the recipes I cook have some element to them where I can make sure he participates, but I wanted one where we could each have our own little jobs and work together, so we came up with this recipe. Willy is great with spices and flavors and helped come up with the spice component to this one. I use ancho chili powder and smoked paprika to provide a subtle smokiness. We use whole peeled tomatoes that I have Will crush by hand. He loves doing this job. It checks all the boxes of being squishy, messy, and satisfying simple. He also loves to crush the corn tortilla chips up. Most chili kits you buy at the store use ground corn flour called Masa. I’ve bought Masa flour in the past and it usually comes in large bags and stays in my pantry for years mostly unused. It’s an important part of the recipe because it thickens the chili. We decided to use crushed corn tortilla chips instead. Those don’t stay in our pantry long and it gives Will an additional fun job. He crushes them in a plastic resealable baggie, until they are fine crumbs. Heat a large dutch oven or pot with a lid over medium heat. Add in the olive oil and once shimmering and warm add in the onion. Let this cook for about 3-5 minutes or until just beginning to soften. Add in the garlic and stir. Let this cook for a quick 30 seconds. Then add in the ground beef and let it brown. While the ground beef is browning crush the chips in a plastic baggie until they are very fine crumbs. Also crush the tomatoes in the juices with your hands or with a potato masher in a medium sized bowl. You want them crushed but still want some nice tomato chunks. (These are two great jobs for kids). When the meat is browned add in the salt, paprika, cumin, oregano, cayenne, and ancho chili powder. Give it a good stir. Then add in the chips, tomatoes, water, and beans with their liquid. Stir this all together. Cover with the lid and let this simmer for 20 minutes. After twenty minutes remove the lid and allow it to simmer for another 20 minutes. 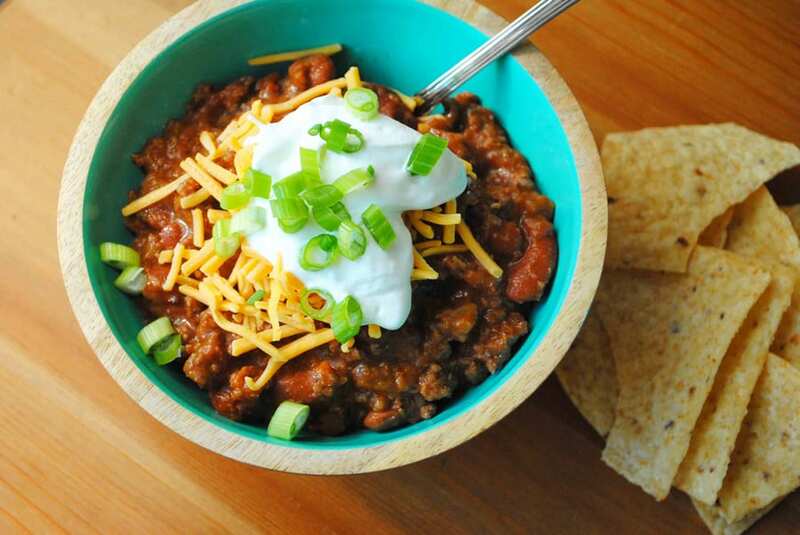 Ladle into bowls and top with your favorite chili toppings. 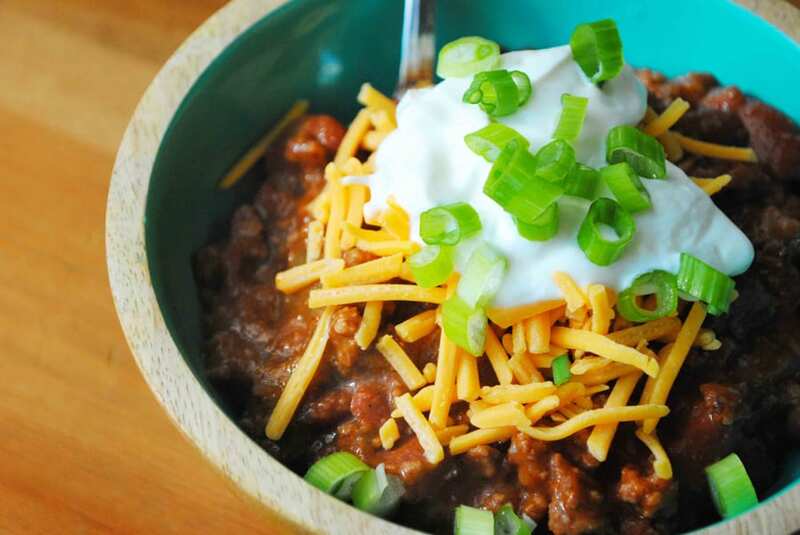 Our favorite chili toppings are tortilla chips, sour cream, green onions, and lots of cheddar cheese. 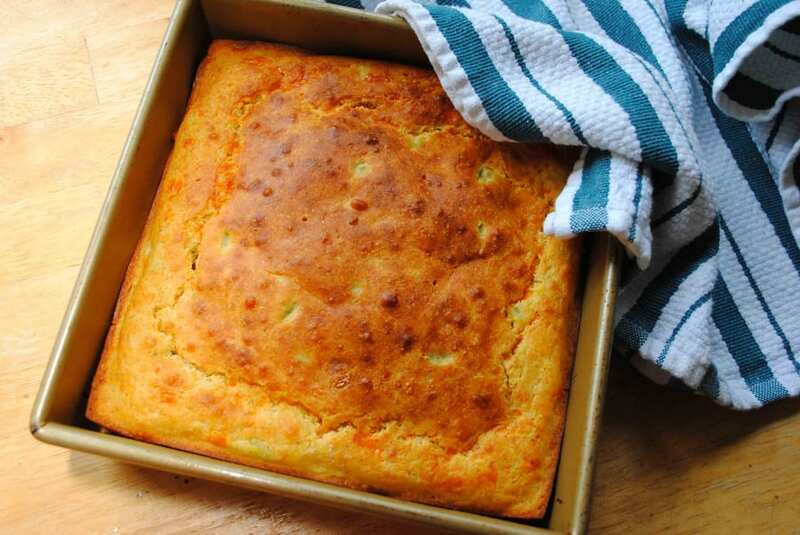 We also love to serve chili with my Buttermilk Jalapeno Cheddar Cornbread. Check out the recipe using the link. We hope you give this recipe a try and if you do use it with your littles I hope they enjoy it as much as Will loves making this recipe with me. 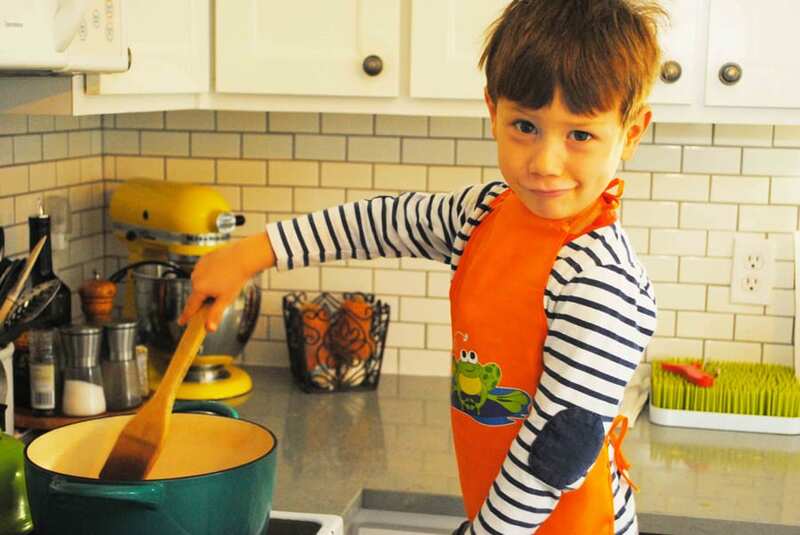 If you want to read more about the Chaos of Cooking with Kids, check out the link to the article I wrote for Full & Well Magazine.